My Number 1 album of all time | "I Prefer Their Old Stuff"
For years I have always been reluctant to try and settle on one album above all others, if people asked me the question I always said there could not be just one album that I prefer over everything else, that it all depends on mood, setting etc. But the other day I listened to this particular album and realised that this one actually fitted the bill. I realised that although I have been listening to it a good few times a year since it came out in 1996 it still hits me as fresh and almost as exciting as the first time I heard it and that I could not think of another record I’ve heard that can quite claim that. So, finally I think I have an answer to this question, what is my favourite album of all time? It has to be Tool’s second album Ænima! 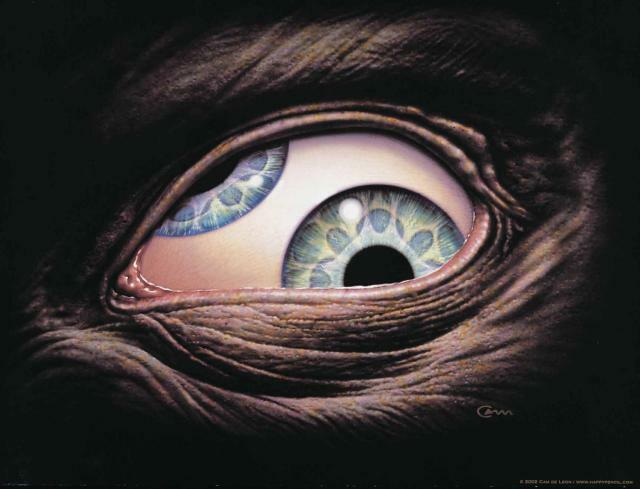 A couple of years previously I had heard Tool for the first time when I was lent their debut Undertow by a friend. At the time this friend was lending me a lot of albums (mentioned in more detail here) so I stuck this on without any knowledge or preconceptions as I had done with numerous others. It immediately grabbed my attention, this was clearly something I needed to listen to properly. 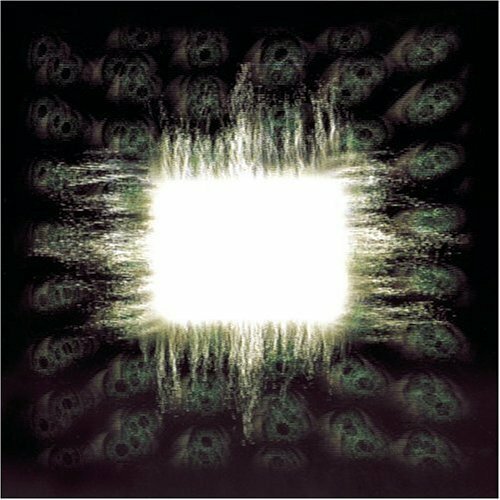 Over the following weeks it burrowed itself into my brain, and that was it, from then up to this day I await Tool’s extremely infrequent releases with the excitement of a child waiting for Father Christmas! I only had to wait a couple of years (gaps between Tool releases now average at around five years!) until Ænima came out and I think I went out and bought it on the day of release. The flashy lenticular CD case served to hint at the musical delights and wonders within and I was itching to listen to it. On early listens I was unsurprisingly gobsmacked at the actual songs on the album but was confused and mildly irritated by the interluding experimental tracks (“Cesaro Summability”, “(-) Ions” to name two) that pepper the album. When I had been listening to Undertow in the previous years the thirteen minute final track “Disgustipated” with it’s long ambient section and surreal lyrical content always made me turn off the album at this point, so was a little disappointed that they seemed to have done more of this on Ænima. Of course, over the months and years, with exposure to far more “experimental” music, I have come to realise that these sections are now crucial to the flow of the whole record and I wonder if, without them, this album would have stayed so high in my personal chart. Now, to my mind (and ears) there is not one duff moment on this album, even the bizarre German rantings in “Die Eier von Satan” (translates as “The Eggs/Balls of Satan”. I now know that contrary to the feeling that it is some speech from a fascist rally, it is in fact a recipe for hash cookies! Feel free to read the Wikipedia explanation) or the four minute squall of electrical buzzing in “(-) Ions” that sounds like you’re trapped in an electrical substation during a hurricane now just act as breaks to allow the listener to get their breath back between the adrenaline rush of the more “regular” songs and tie the whole album together to make it a complete eighty minute experience! This was also possibly the first album I had heard to use such unusual time signatures, the drum beat at the end of “Forty Six and Two” is so awkward it took me some time before I could even tap my feet along to it, and I have a good sense of rhythm! I think that this is part of the reason for its longevity, you spend a long time getting your head around the structure of the songs as they keep morphing and changing and once you’ve done that then they seem to become a part of your psyche. Like finding your way in the car, once you have completed a journey a number of times it becomes fixed in the memory. In terms of lyrical content, there are myriad stories around the internet purporting to explain the meanings behind various Tool songs and lyrics and for the most part I will let you read them and decide for yourselves, but some songs are pretty clear in their meaning, for example the lyrics in the track “Ænema” talk about hatred for Los Angeles and how “the only way to fix it, is to flush it all away”, a repeated suggestion is made to the residents; “Learn to swim, learn to swim” and “I’ll see you down in Arizona Bay”, an allusion to a recording by late great comedian Bill Hicks stating how happy he’ll be when, with the next big quake LA will slip into the ocean. Bill Hicks is a repeated influence throughout the record. I own two versions of the CD (my original lenticular copy got stolen in a burglary, I replaced it a few years later from ebay! 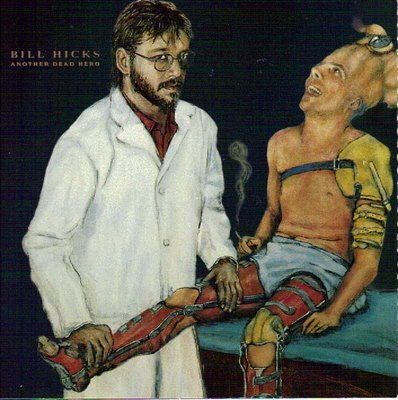 ), the lenticular cased version that features a painting of Bill Hicks working on a patient who looks quite similar to Tool vocalist Maynard James Keenan (here), the other normal CD case shows just a head and shoulders portrait, both labelled “Bill Hicks – Another Dead Hero”. Closing track “Third Eye” starts with an excerpt from Bill’s rant about the drugs war; “It’s a not a war on drugs, it’s a war on personal freedom, keep that in mind at all times” (youtube video of this below), the title another allusion to Hicks’ assertion that the consumption of psilocybin mushrooms would “squeegee your third eye clean”. Since Ænima came out in 1996 Tool have managed to release a mere two more albums (Lateralus and 10,000 Days), as I said, not the most prolific of bands! Although Lateralus is fantastic and 10,000 Days extremely good (I don’t subscribe to the criticism of this album, style has changed slightly in places, but hey, that’s evolution) neither reach the giddy heights that Ænima effortlessly climbs! Clearly the large interludes between albums allow the band to really craft something special and there might be an argument that says without these long gaps one wouldn’t become quite so intimate with each release, but I don’t know. I just wish I didn’t have to wait upwards of five years each time to get my fix! This entry was posted on February 11, 2011, 3:26 pm and is filed under Music Reviews. You can follow any responses to this entry through RSS 2.0. You can leave a response, or trackback from your own site. Wonderful post and great read dude. Aenima also belongs in my list for personal favorite albums of all time(actually Lateralus and 10000 Days also). Remember when they had to change the title of Stinkfist to Song #1 for the video on MTV. Do you think they’d have to do that nowadays? Whenever I end up tapping my fingers on something out of boredom, it’s almost always to the clicking rhythm in the beginning of Eulogy. I’ve heard some rumors about Tool currently working on a new album( http://www.youtube.com/watch?v=jfTO0yEhA_w ). Of course this is the internet and mostly all rumors are b.s., but one can hope,lol. If they release this year in 2011, it would definitely fit in with their current release rhythm. Gotta love some of those youtube comments, my, don’t some kids get irate?! Yeah, I’m not going to hold my breath, do you remember the raft of fake news and songs around 12 months before 10,000 Days came out? Only saw the video on MTV2 (that used to be a good channel) a couple of times, don’t remember them changing the title but I do remember reading about something similar, was that just in the US? I think judging by the content of kids-fare videos these days (Katy Perry in the buff etc.) it would be mighty hypocritical of them to censor a not overtly explicit song title! Ya, I guess it was just in the US that they changed the song title. At the time that Stinkfist came out there were a bunch of videos of scantily clad women and guns and violence, and mtv asked them to change the title of a song that could refer to inserting something into an uncomfortable place, but F* the Police was ok, oi. And I remember all the fake news up leading up to the release of Lateralus, fake song names, ect. I think it’s pretty funny the way Tool messes around with people and how serious some people take it. The born again Christian April Fools joke they pulled some years ago was pretty funny. 30 Days of Music: Day 19 – A Song From Your Favourite Album « "I Prefer Their Old Stuff"